CM says he heard the names of H.K.L. 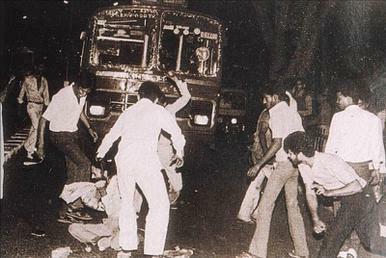 Bhagat, Sajjan Kumar, Arjun Das and Dharam Das Shastri from scores of riot victims when he had rushed to Delhi. Chandigarh: On the second day of the Punjab assembly session, Chief Minister Captain Amarinder Singh named four leaders of his own party, the Congress, as “said to be” involved in the 1984 anti-Sikh riots. He, however, said that whatever the four did was in their “individual capacity”, not as Congressmen. Congress president Rahul Gandhi’s 24 August remark at the London School of Economics — that his party was not involved in the riots — rocked the assembly Monday. Naming Congress leaders Sajjan Kumar, H.K.L. Bhagat, Dharam Das Shastri and Arjun Das, Amarinder told the assembly that he had heard these names from scores of riot victims. “For 34 years, I have been openly taking their names, and my stand has not changed,” he said. “In the first week of November, I, along with another Congress leader Ravi Inder Singh, my cousin Randhir Singh and my brother Malwinder reached Delhi and saw horrible sights. I saw dead bodies rotting on the roads. We could not go to the trans-Yamuna area, which was the worst affected,” Amarinder told the House. The chief minister’s statement in the assembly assumes significance in wake of the electoral damage Gandhi’s remark might have caused the Congress ahead of the 2019 parliamentary elections. A political analyst, who did not want to be named, explained the significance of the statement: “It is not every day that chief ministers of parties admit to wrongs committed by their partymen on the floor of the House. The Punjab CM was clearly walking a tightrope between defending the almost indefensible and ensuring that the Sikh vote bank is not alienated from his party. The Shiromani Akali Dal (SAD) and the Aam Aadmi Party (AAP) put the treasury benches under pressure during Zero Hour. SAD president and former chief minister Sukhbir Singh Badal rebutted Amarinder, saying that if he knew these names all along, why did the Congress continue to give them tickets in elections and make them ministers? In a press briefing later, Badal said the chief minister should offer himself as a key witness in the riot cases pending in the courts in Delhi. “He should have deposed as a witness in these cases already,” he said. Badal kept taking the name of a Congress leader who was widely believed and reported to have been involved, but Amarinder refused to take the bait, saying he would only take the names that the victims had mentioned to him. Parliamentary affairs minister Brahm Mohindra wanted the names of the people who are not present in the House during the discussion — such as the alleged perpetrators of the riots — to be expunged from the record. AAP leader H.S. Phoolka, who has been the lawyer for victims of the 1984 riots, led other party MLAs to the well of the House, strongly objecting to the move. He demanded that the names taken by the Chief Minister be retained in the assembly records. Phoolka wanted a united AAP to support him. However, the eight rebel MLAs, led by former leader of opposition Sukhpal Singh Khaira and Kanwar Sandhu, refused to budge from their seats. Phoolka was repeatedly seen asking them to join the protest. Finally, Amarinder said there was no need to expunge the four names he took as these had been in the public debate for the past 34 years. The Speaker then allowed the names to be made part of the assembly records.